Create a dynamic, sophisticated atmosphere with this Modern Bar Table. The table is counter height and is perfect for pairing with other bar height, or counter height stools of your choice. The gray high gloss finish of this table creates a luxe feel while the stainless steel accent adds sparkle to the feet. Not just as bar table you can also use this table as a buffet or serving table for big gatherings. 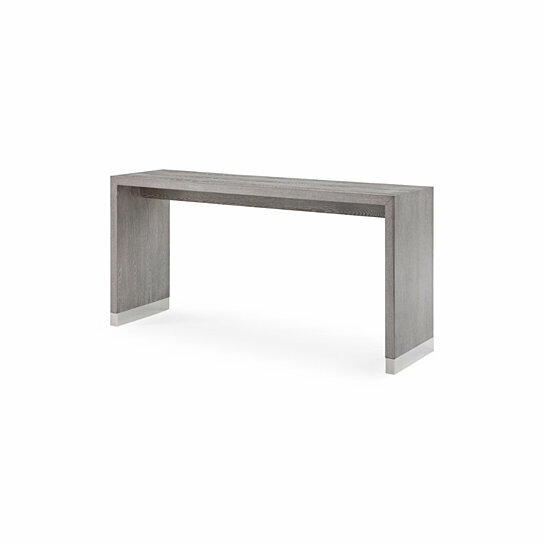 The simple design of this table features a rectangular tabletop with straight rectangular sides. The table is made from durable wood with stainless steel accents for durability and longevity. The table will be a unique addition to your home d�cor.